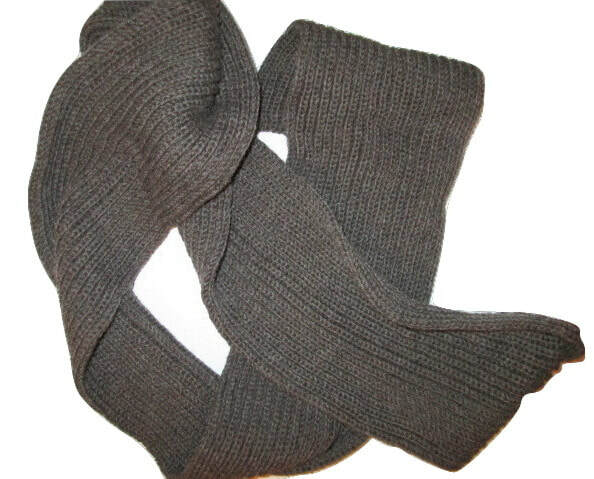 Great War, WWI, reproduction scarves/mufflers and socks/stockings. Made with pure wool unless otherwise requested. All items are handmade from the original WWI patterns. To custom order yours or if you have any questions, please contact me. Scarves range from $40 to $60 depending on the length. Socks are $40. Stockings are $50-$60. This is the basic WWI Red Cross Scarf. This muffler fold up into the cap shown at right. This shows the muffler at left folded up into a cap. It's a muffler that turns into a cap. 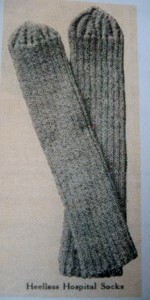 This is called a basket stitch muffler. It has fringe and the stitch looks kind of like basket weave. Here is one of the basic Red Cross scarves that I knitted. Here is another of the basic Red Cross scarves I knitted along with a pair of the Red Cross wristlets. 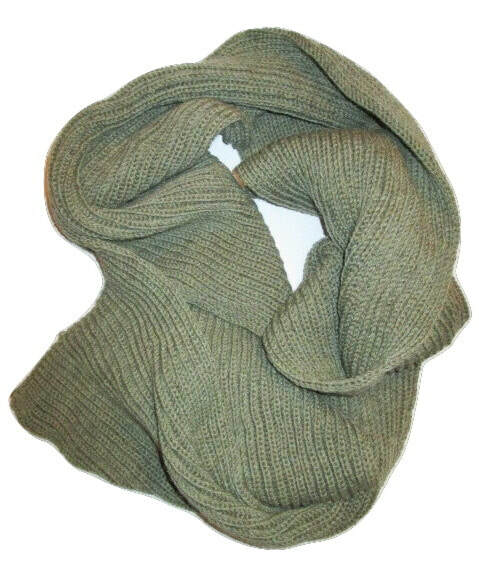 This is another type of WWI scarf. It is called Brioche stitch or Fisherman's Rib. Another of the Brioche/Fisherman's Rib scarves I've knitted. 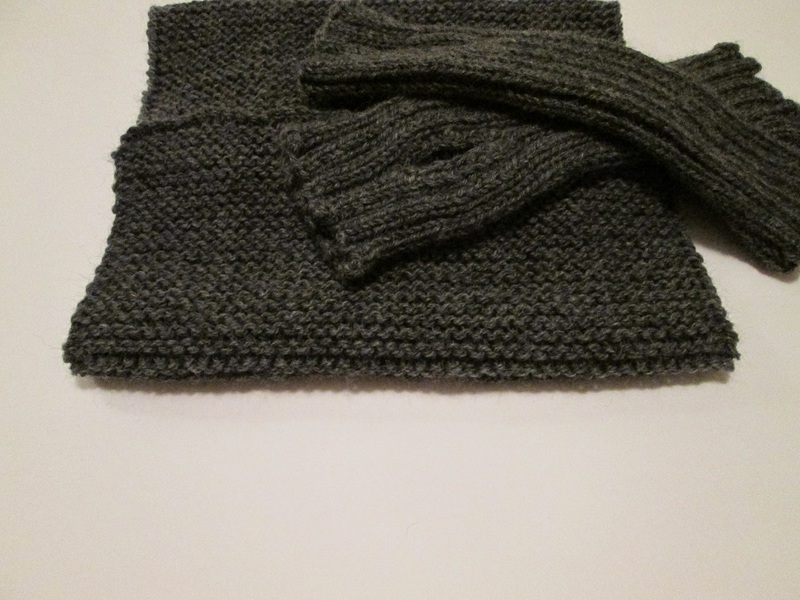 This basic garter stitch scarf can also be made in one of the following fancy stitches. Here is the standard WWI Red Cross regulation sock. 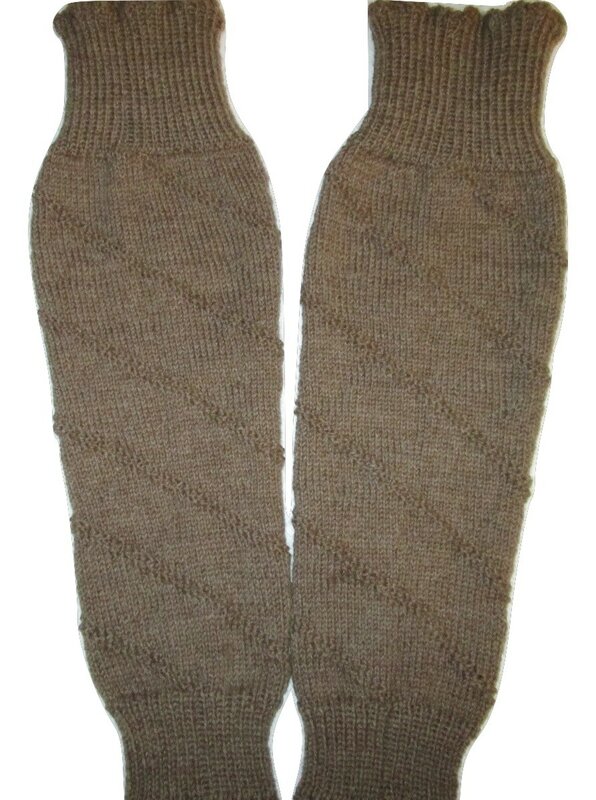 Here is a color photo of one of the pairs of standard WWI socks that I knitted. 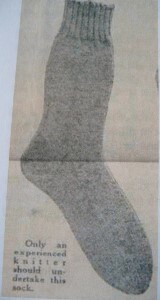 This is another photo of the WWI regulation socks. Here is another of the WWI socks I made. This is a custom pair of socks I made for a customer who had a WWI photo that these socks are based off of. 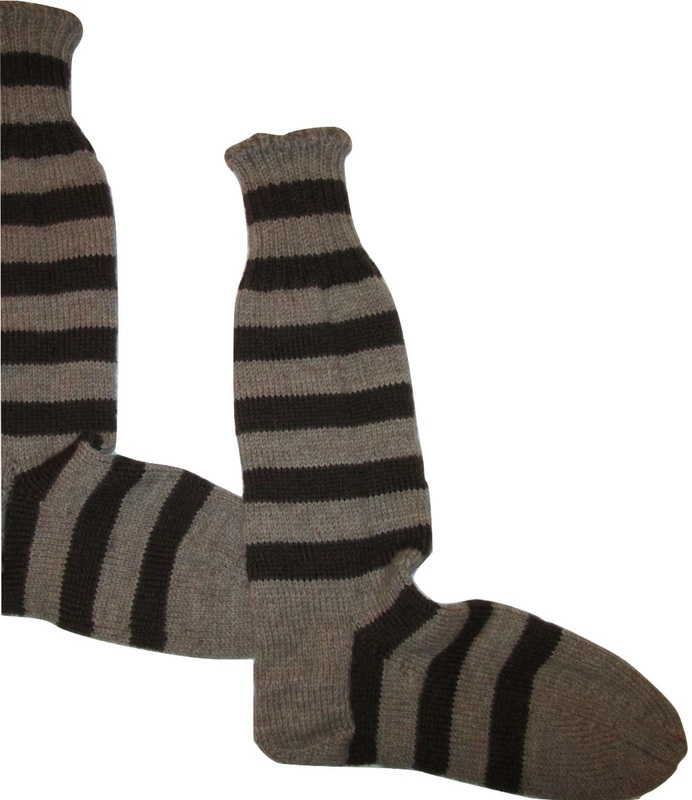 These are the same WWI socks as the ones above, but with a longer leg and knitted in gray. 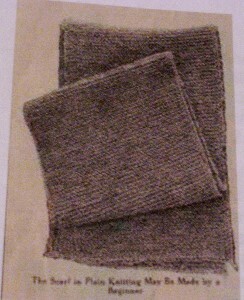 The original 1917 photo of the American Red Cross Hospital Bed Socks. These are made without a heel. They were designed to be worn by convalescing soldiers. 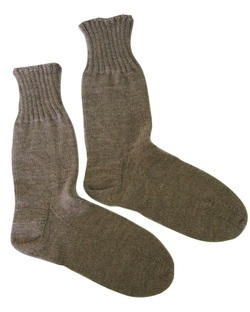 This is a pair of the American Red Cross 1917 Hospital Bed Socks I knitted. The knit puttee stockings I made. They pull on like a leg warmer and are 18 inches long. You can roll down the cuff to make them shorter. Another photo of the knit puttees I made. 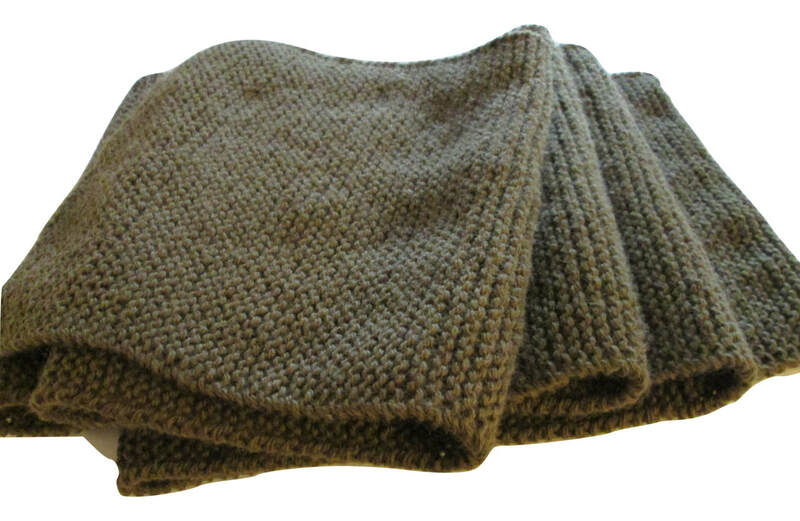 They are a khaki color and are 100% wool. 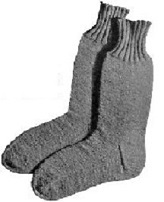 Here is the ribbed sock. Notice how it has ribbing lines down the sock. These ribbed stockings are the same as the ribbed socks, but longer. Trench Stockings. These specific stockings are meant to be worn under rubber boots, as stated in the pattern. They have a 30 inch long leg! 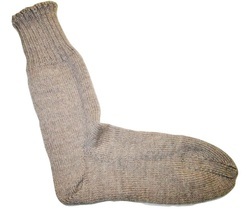 This is called the Heelless Hospital Sock. There is no heel; it is straight ribbing from start to finish. Crocheted socks and scarves coming soon!